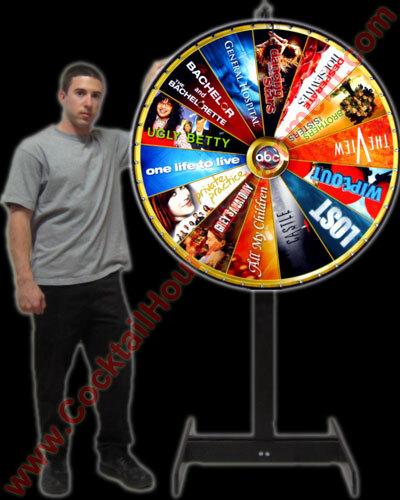 Our Magnetic 42" Prize wheel has a metal layer, covered with a Dry Erase Vinyl. Ultimate in versatility, change sections, faces, write and erase. 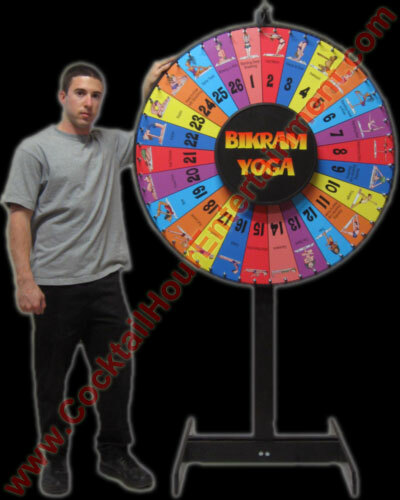 Prize Wheel includes 55" base stand, adjustable clicker, rubber tipped pegs, and rubber edge trim. 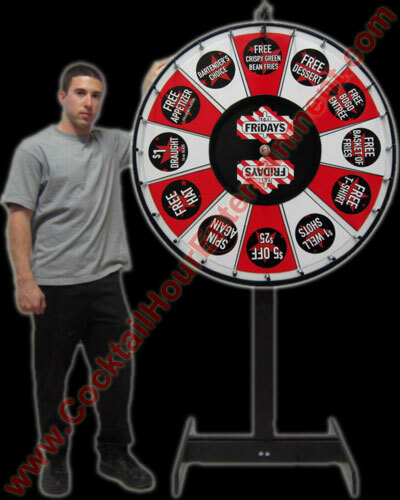 This is a quality Prize Wheel. Sections are the triangular areas where the prizes go, also referred to as "Pie Pieces" or "Slots". 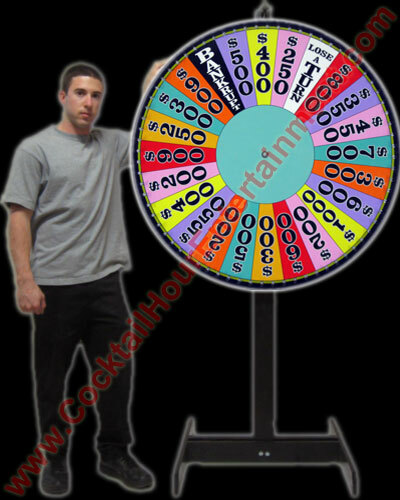 Sections can contain pictures of the prizes, numbers, icons, or be blank. Colored areas are magnetic and stick to wheel. Insert Your Own Graphics in the white circles. 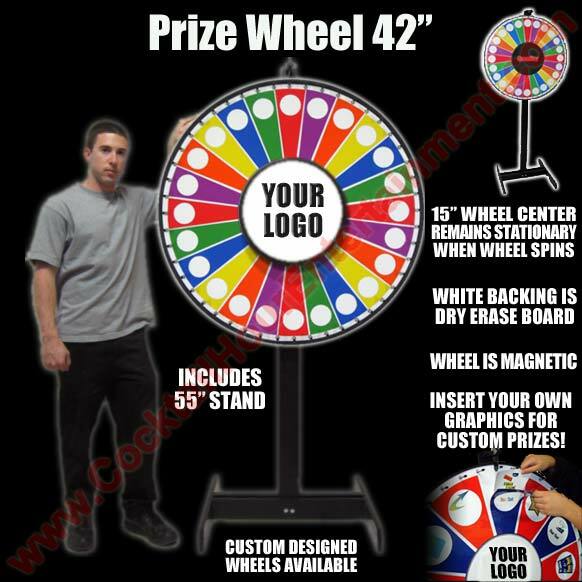 • White circles are dry erase background so you can also write in the prizes. • Print your own graphics or we can do it for you . • Templates available to help you size your pictures or we can do it for you.